FBI Director Chris Wray made clear in a message sent to all bureau employees on Monday night that Deputy Director Andrew McCabe’s decision to step aside was a result of forthcoming information to be detailed in an Inspector General report, according to a copy of his message obtained by NBC News. 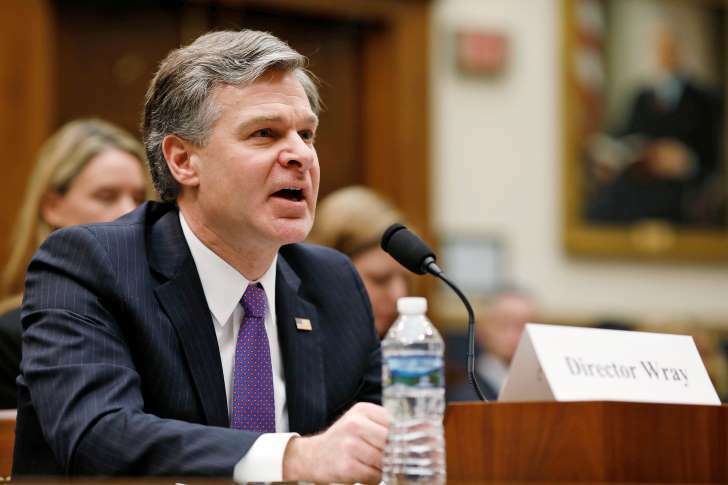 Wray alluded to having seen aspects of the IG’s report into the way the FBI handled the investigation into Hillary Clinton’s use of a private e-mail server. In the very next paragraph, Wray explained that McCabe had submitted his intention to retire, suggesting a connection between the findings of the IG report and McCabe’s decision. Several sources familiar with McCabe’s move said the he made his decision as a result of a meeting with Wray in which the Inspector General’s investigation was discussed. News that McCabe would leave his role seven weeks before he was expected to retire triggered speculation on Monday that he was being forced to leave under political pressure from President Donald Trump. But several FBI insiders said that was not the case. Trump has openly criticized McCabe for being biased because his wife took donations from Clinton ally Terry McAuliffe when she ran as a Democrat for a state Senate seat in Virginia. He also fumed at McCabe when recently fired FBI Director James Comey took an FBI plane back to Washington after Trump removed him from the position.